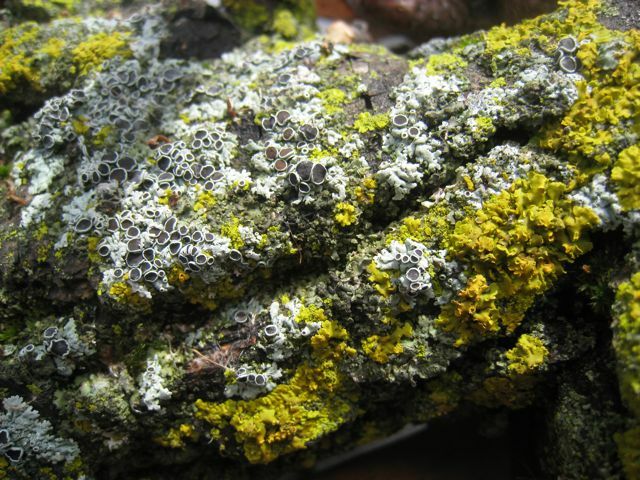 Two pictures of lichens (and some moss) growing on a fallen oak branch. I opened up my copy of Lichens of North America that my parents gave to me one birthday a few years back. I intended to start learning how to ID lichens, but like every time I open the book I read a little, glaze over and end up just looking at the great lichens photos (which isn't a bad thing). Lichens are everywhere, very much overlooked and under appreciated. Look out for them on your next walk around your neighborhood. See how many you can find. 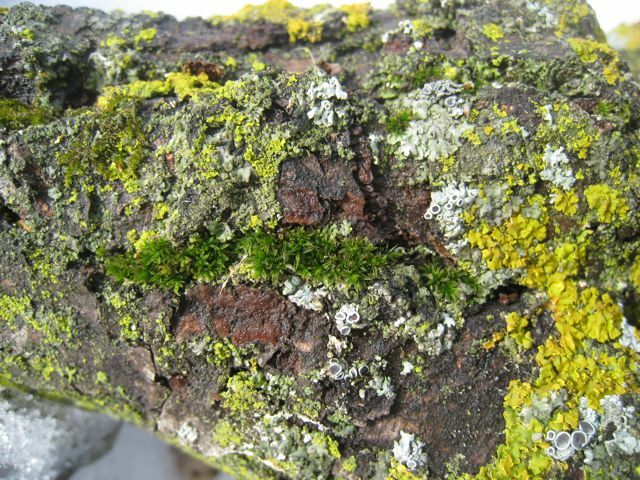 See how many colors, textures and patterns you can find. They are so often overlooked, but so rich to one who stops to notice and who can appreciate.